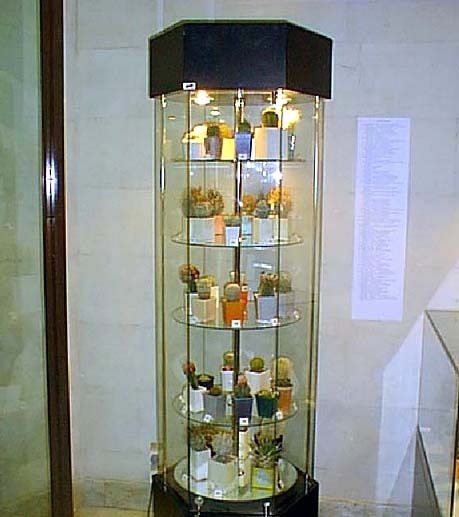 Photo 3. 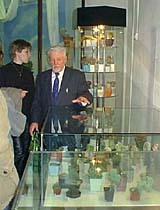 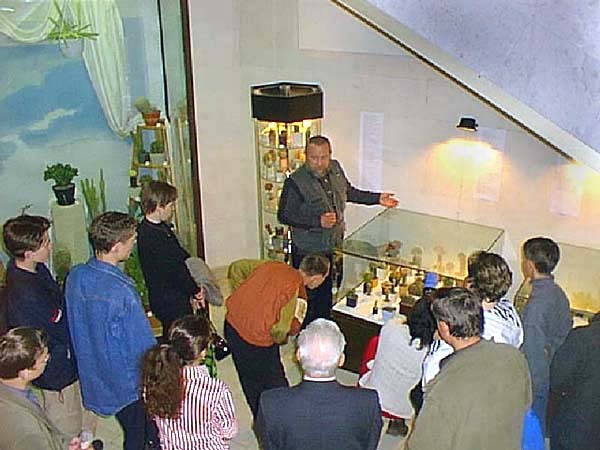 Innokentiy Evgenyevich Sinev, Vice-President of ROIKS, narrating visitors through the exposition. 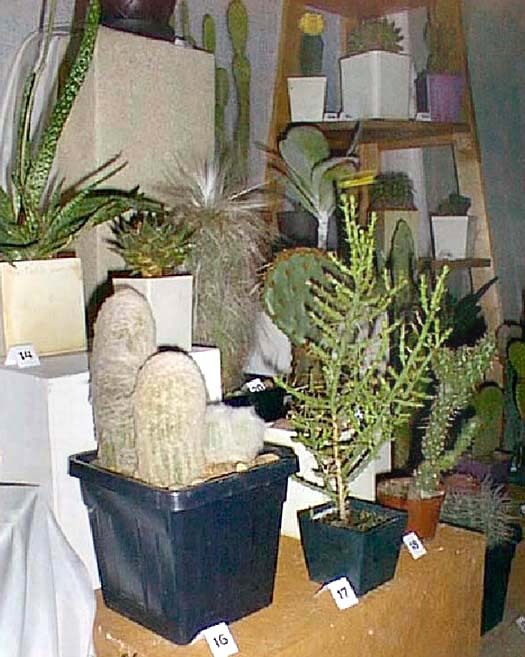 Photo 8. 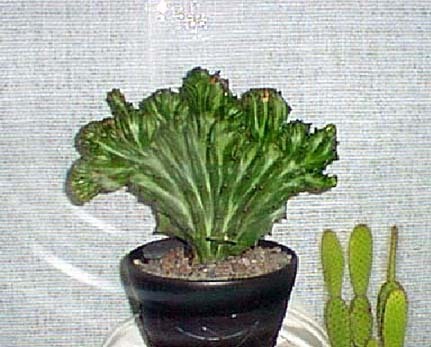 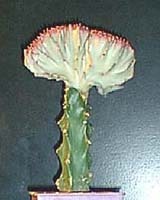 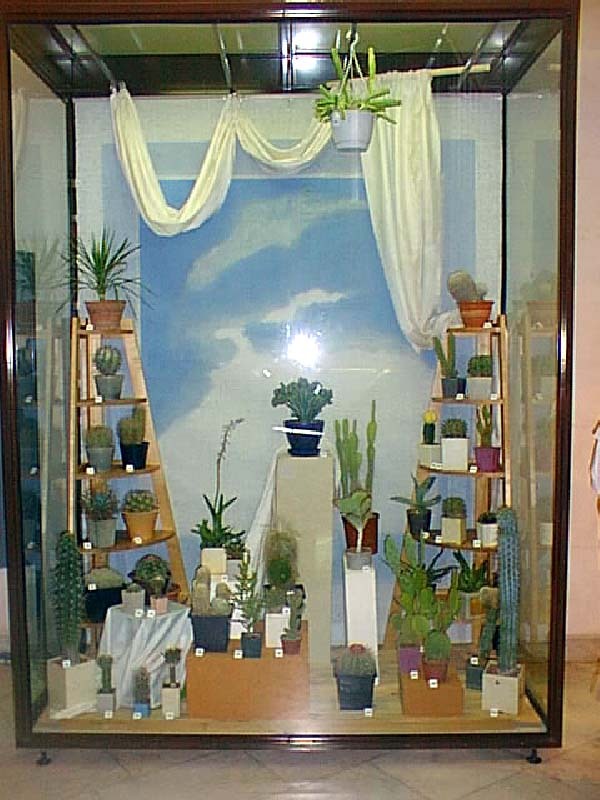 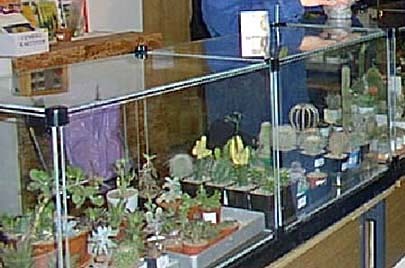 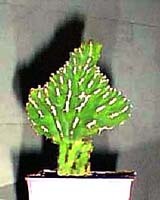 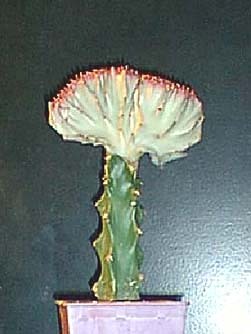 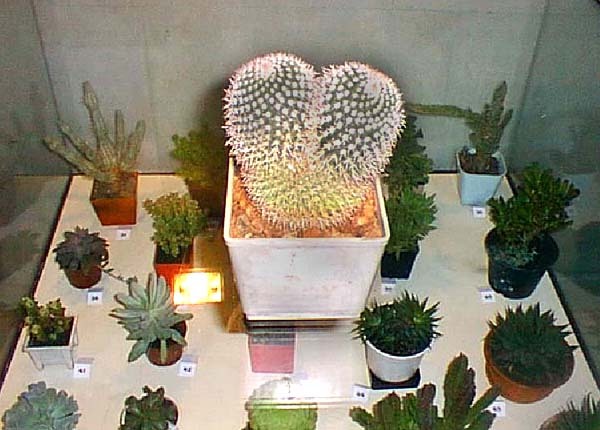 Showcase with non-cacti. 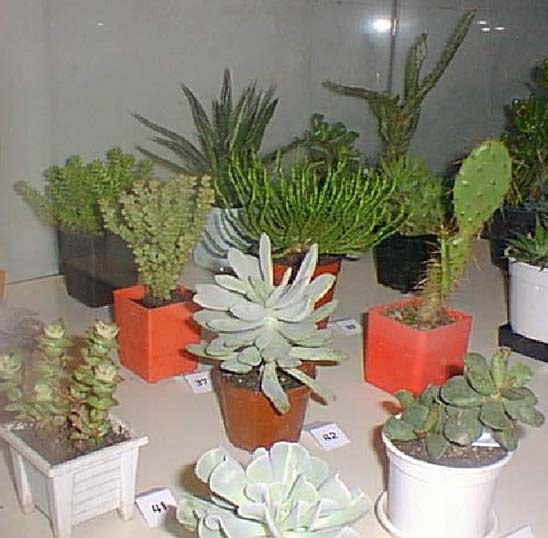 Photo 10. 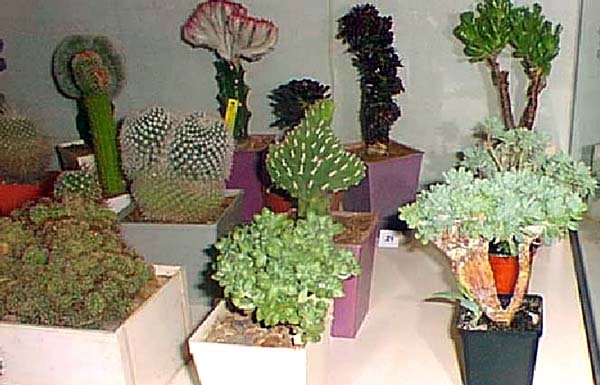 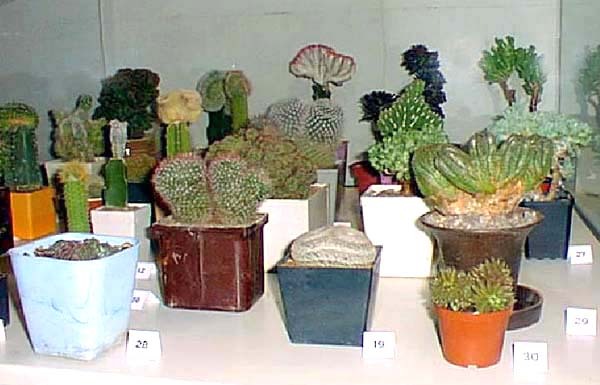 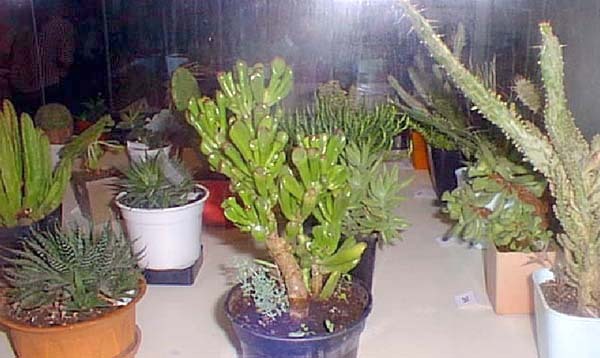 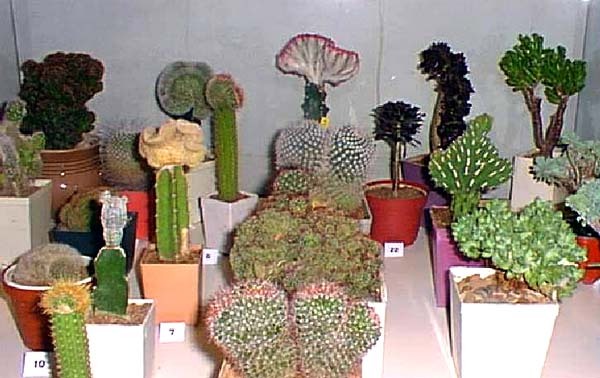 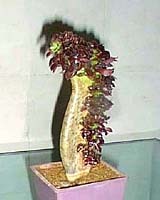 Showcase with cristate and monstrose forms of succulents. 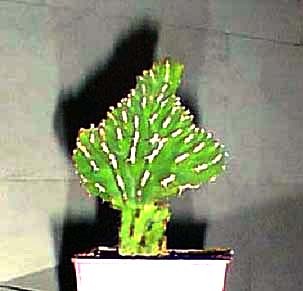 Photo 11-12. 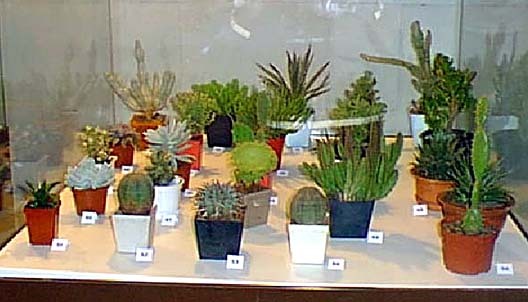 Succulents of Peter Lapshin - two photographs. 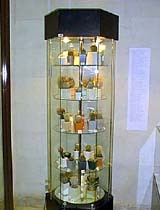 On this final page you can see individual exhibits: Photo 15-22. 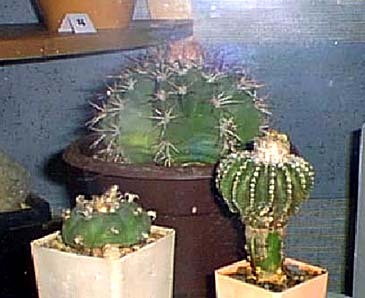 Photo 14. 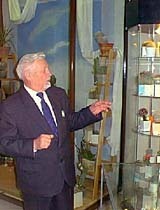 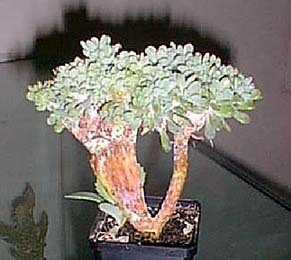 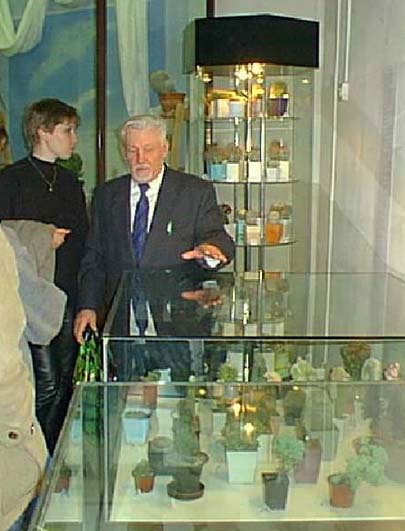 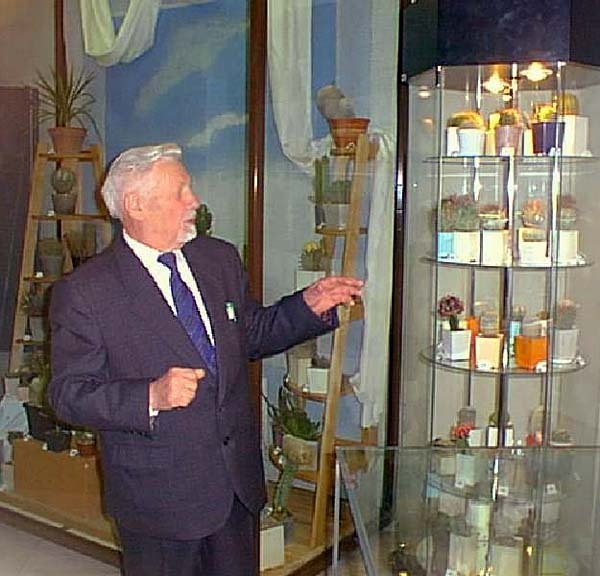 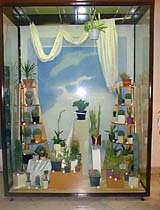 Plants from collection of Valery Serovaisky.